Actor, author, recording artist Jonathan Jackson put his potent musical gifts on display a week before Christmas at the Mercy Lounge in Nashville, Tennessee. Jonathan Jackson + Enation kicked off their Radio Cinematic tour in Nashville back in May wrapping it up in Music City on December 18, 2015. 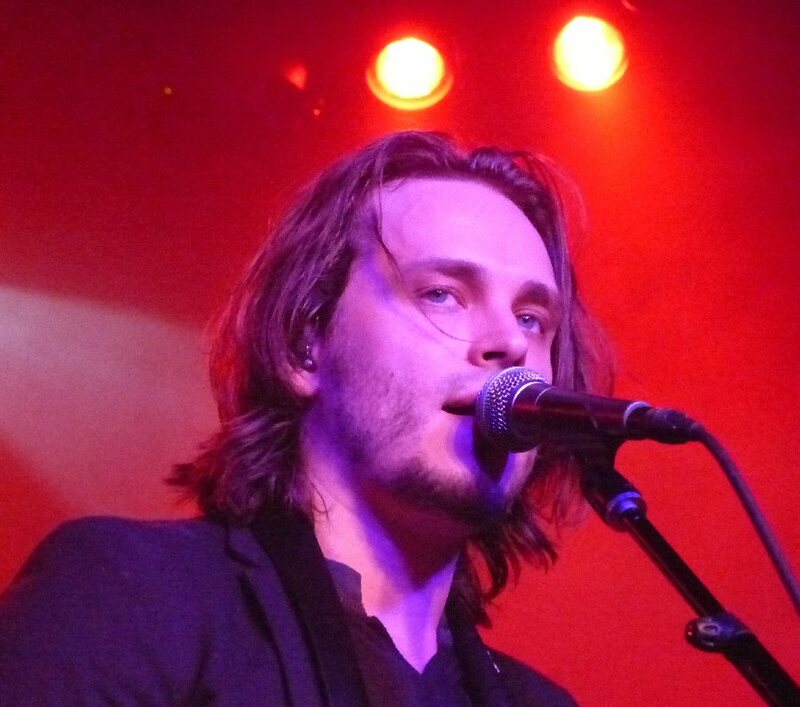 Jonathan Jackson was compelling and charismatic in Nashville. 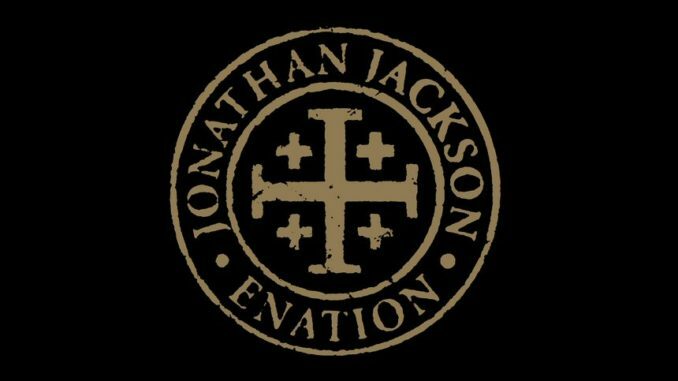 Jonathan Jackson + Enation are an anthemic American rock band with a Euro/Rock flare. This power trio features Jonathan on lead guitar and vocals, his brother Richard Lee on drums and bassist Daniel Sweatt. Their music has been played on MTV.com, ‘One Tree Hill’, and ‘General Hospital’, as well as scoring on the Top National iTunes Alternative charts. The talented actor brings a flair for the dramatic to his live performances. A few minutes after 9 p.m. voices and effects echoed through the room as the band began with “I See God In You” punctuated with heavy rhythms. The song showcased Jackson’s expansive and expressive range as the tune kept building up to an almost head banging blitz. The next few tracks were also hard rockers. As Jonathan sang “Things You’ve Never Seen” he acted out the music. At times he would stare out into the crowd and on other occasions closing his eyes getting caught up in the creative process. Either way he was a charismatic front man. “Ladies and gentlemen please welcome Aubrey Peeples,” said Jackson as he invited his Nashville co-star to join him for a couple of tunes. Their set included a cover of U2’s “Every Breaking Wave” featuring Jonathan on the piano as the two shared back and forth lead vocals. “The Morning Rain” from the Radio Cinematic album is a song about healing explained Jonathan. Many at the Mercy Lounge may have also heard the bold ballad on Nashville. R.E.M. made a brilliant record before they retired fumed and mused Jonathan as they moved into a rousing version of “All The Best” flowing into U2’s “The Fly” with Jackson handling the Edgy leads with ease. “Cinematic” an Enation original was dedicated to Jackson’s wife. It was a dramatic piece that unfolded with visual imagery paired with vibrant instrumentation and vocals. 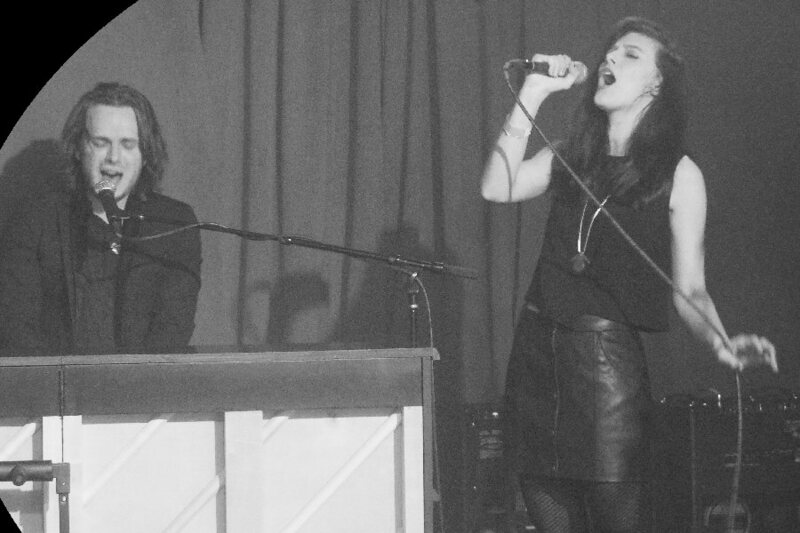 Jonathan was joined by his co-star Aubrey Peeples at the Mercy Lounge. 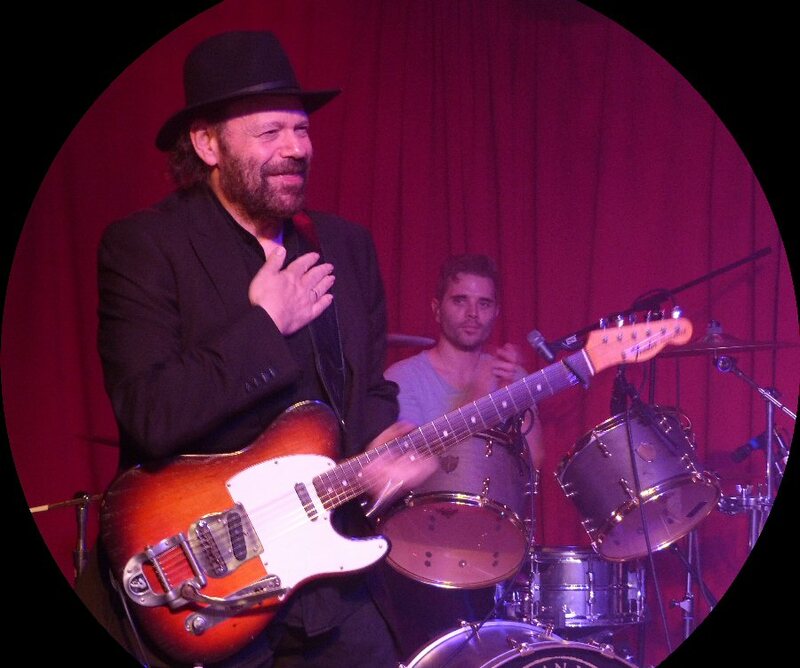 A warm welcome was extended to guitarist Colin Linden. Colin is an M.D., musician, producer and songwriter for Nashville since its inception in 2012. He played acoustic, electric and slide guitar on the majority of the show’s recorded material. He regularly appears on screen in live performance scenes on the popular soap opera. At Friday’s concert “Keep Asking Why” a tune that was featured on an earlier season of Nashville was snappy with Colin adding a sizzling slide to the mix. Jackson shared that he grew up on the music of Elvis and Roy Orbison. Jonathan paid tribute to the former with “Unchained Melody” sung the way The King had made famous. This was another piece that demonstrated Jackson’s wide and winsome range. The heartfelt “History of My Heart” from a 2015 episode of Nashville featured Jonathan on vocals and Linden gently strumming an acoustic. The pace picked up with Richard Lee and Daniel back in the groove. They closed with the powerful encore “Everything Is Possible” leaving fans with a positive message to carry into the New Year. 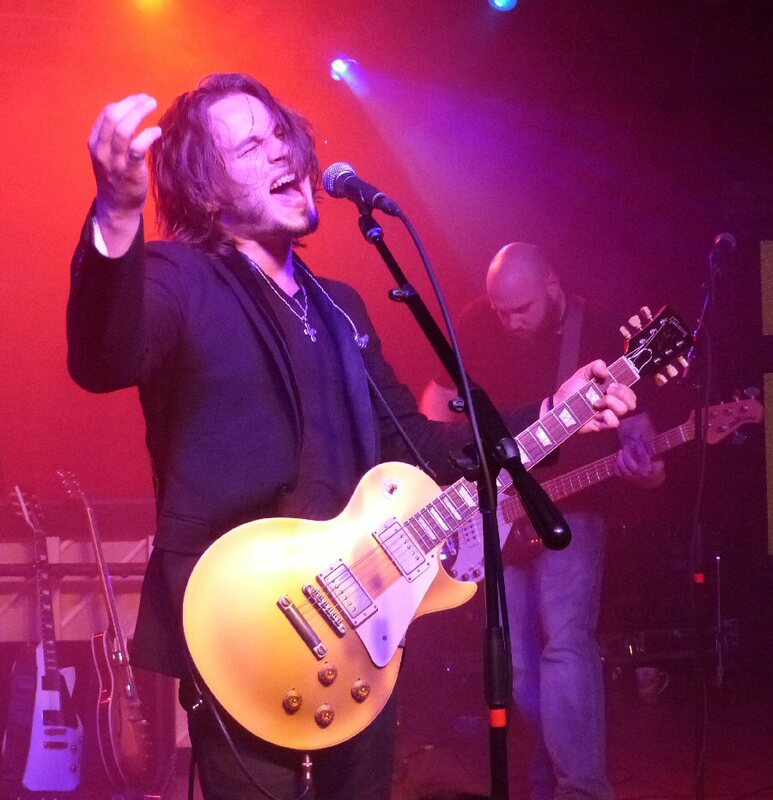 Jonathan Jackson + Enation wrapped up 2015 with a fine set that included music from their major labor debut Radio Cinematic along with popular songs from the TV show Nashville. The Mercy Lounge is one of three venues located at 1 Cannery Road with each hosting an eclectic range of artists such as Jonathan Jackson + Enation. Please check their calendar for a full list of events. The talented Colin Linden was a nice bonus to a stocking-stuffed night of music.